White Walker Kush Feminized by DNA Genetics Seeds GYO Collection is a feminised, medicinal marijuana strain that is perfect for treating and managing a whole host of common and debilitating medical conditions. 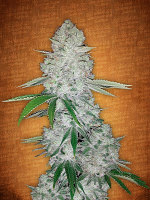 Ideal for growing weed indoors and outdoors, these high quality female cannabis seeds are renowned for producing large, dense buds with a great structure. But that’s not all… they are also extremely resinous and responsive to both indoor and outdoor cultivation. White Walker by DNA Genetics Seeds GYO Collection. Our friendly and helpful team is always on hand to answer any of your questions about our weed seed banks – get in touch!